More than 20 destinations around the world. Catalonia Hotels & Resorts is a chain of family hotels founded by the Vallet brothers. 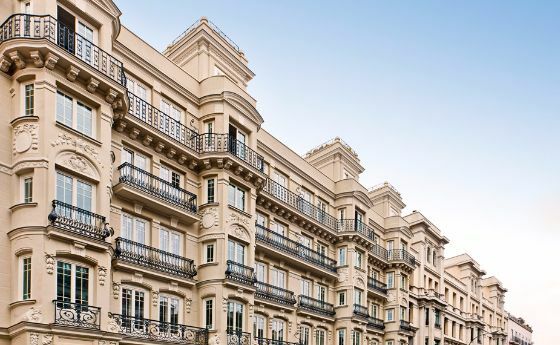 After its beginnings in the real estate sector, the business opened its first establishment in 1983, to become one of the largest hotel chains in Spain. 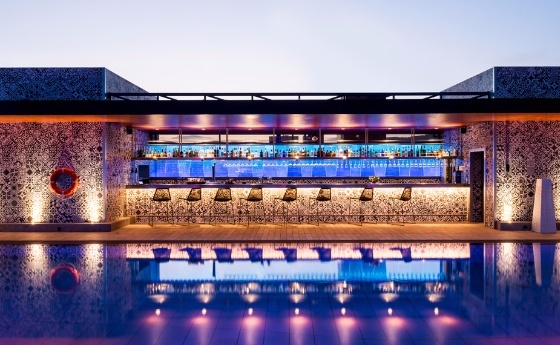 The company currently has 69 establishments in more than 20 different destinations: 57 hotels in Spain, two in Brussels, one in Berlin, one in Amsterdam, 8 resorts in the Caribbean (4 in the Dominican Republic and 4 in Mexico) and one city hotel in Santo Domingo. We are currently the leading hotel chain in Barcelona with more than 3,000 rooms on offer. To create unforgettable experiences by giving our guests excellent value for money for our accommodation and catering services. To build up a reputation as a reliable, leading hotel chain at home and abroad through the customer loyalty of our guests. Offering excellent value for money. This is one of the most highly prized factors by our customers. Our staff is one of the core drivers behind the success of the chain. We endeavour to provided quality services by anticipating our guests’ requirements and adapting to the latest travel trends. We are constantly renovating our facilities right down to the very last detail so that our hotels maintain their charm and sense of history. Catalonia Hotels & Resorts opened its first establishment in 1983. We now have 59 establishments in Europe. Our first hotels in Europe outside of Spain opened in 2001. 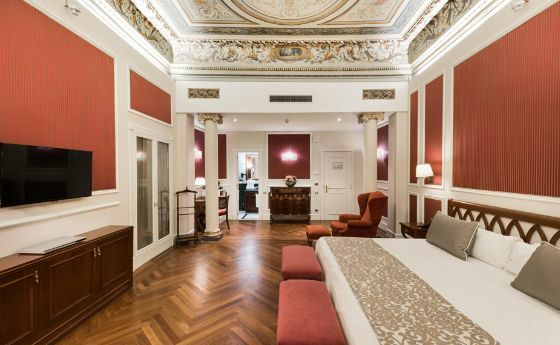 We now have hotels in Brussels and Berlin and are soon to open a new one in Milan. Catalonia Hotels & Resorts is one of the leading hotel chains in Barcelona with 26 establishments able to accommodate more than 6,000 guests. 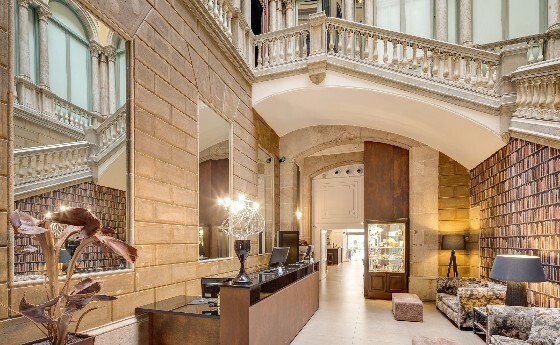 Major refurbishment projects have been carried out in Barcelona to convert emblematic buildings of historic interest into charming hotels. The most outstanding examples are the Catalonia Eixample 1864, a 19th century building that formed part of the first set of houses built when Barcelona started its expansion to what is it today and is now a listed building; the Catalonia Plaça Catalunya, a Modernist building from the end of the 19th century; and the Catalonia Portal de l’Àngel, a small palace built in the Neoclassic style in 1872 and that is officially listed as part of Barcelona's artistic heritage. Present in Spain’s capital since 1995, we now have six establishments near the city centre that have enabled up to gain a foothold as a hotel chain in this destination. Just as has happened in Barcelona, we have chosen to conserve historical buildings located in the city centre, as is the case of the Catalonia Las Cortes, which is in a small palace in which the original frescos can be seen; the Catalonia Goya, a 19th century building located in the central neighbourhood of Salamanca; the Catalonia Gran Vía, a modernist building from the turn of the last century; and the Catalonia Puerta del Sol, an 18th century building listed as part of Madrid’s heritage sites. More than 15 destinations that share the same philosophy: offering premium locations in Spain’s main cities where people can enjoy city breaks or holidays. Seville, Valencia, Zaragoza, Murcia, Salamanca and the beautiful town of Ronda are some of our Spanish main destinations, without forgetting the Balearic Islands and the Canary Islands, where we have 10 holiday hotels. It has been planned to open the chain’s first establishments in Granada and San Sebastián in the near future. We currently have hotels in Brussels and Berlin, two top-ranked European capitals. We have two establishments in Brussels, whilst in Berlin we have a unique hotel with 131 rooms of an industrial character that has become a permanent exhibition space of paintings thanks to over 180 m2 of graffiti that covers the public areas. 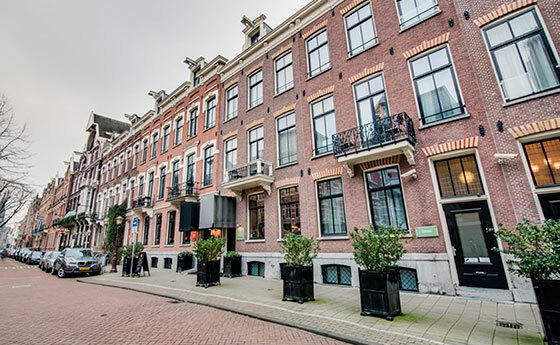 In Amsterdam we have an 83-room hotel close to downtown Vondelpark. Catalonia Hotels & Resorts has hotels in the Caribbean able to accommodate more than 6,000 guests. The eight holiday resorts spread across Mexico and the Dominican Republic are designed so that you have incredible travel experiences, with every luxury and comfort in Caribbean surroundings. We also have e a city hotel on Santo Domingo’s waterfront. In 1998, Catalonia Hotels & Resorts began its Caribbean adventure when it opened its first holiday resort. It now has four holiday establishments, two of which are in Playa Bávaro and the other two in Bayahíbe. With 711 rooms, the Catalonia Bávaro Beach Golf & Casino Resort is the chain’s biggest resort in the Caribbean. Finally, there is the Catalonia Santo Domingo, a five-star city hotel with more than 1,100 m2 of rooms for events intended for business tourism. The Catalonia Royal la Romana was recently opened, an exclusive five-star resort for adults only in Bayahibe. Between 2004 and 2006, Catalonia Hotels & Resorts opened four holiday establishments in Mexico, which increased its holiday offering in the Caribbean by 1,300 rooms. They are all in the Riviera Maya, a paradise on earth greatly appreciated by tourists. The Catalonia Royal Tulum was opened as the chain’s first adults-only resort. 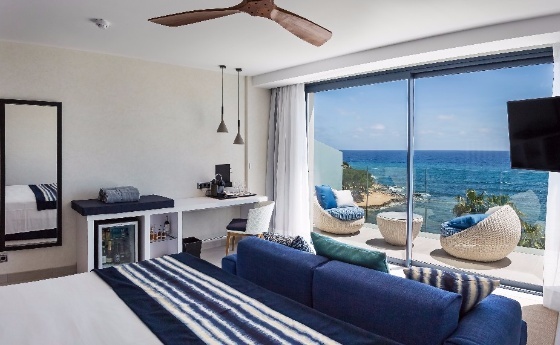 Work is currently being done to open a five-star resort at the end of 2019 with 400-plus rooms on the popular beach of Costa Mujeres, just north of Cancún. Thanks to our daily efforts and our great team, we have received various awards and certifications that acknowledges our work and makes it worthwhile. Catalonia Hotels & Resorts offers unique experiences in the hospitality sector. That is why we are an innovative, forward-looking chain, as we endeavour to satisfy the expectations of all our customers. To rise to these challenges, we have the following portfolio of brands. Eboca works with 14 concept restaurants around the world. It has created a food and beverage brand for Europe called Eboca Restaurants, which has 15 restaurants in five cities and six types of cuisine. This is a luxury beach club right on the seafront with more than 1,700 m2 of leisure areas and beaches located in Punta Cana (Dominican Republic). This is a restaurant with fusion cuisine and shows. It is located in one of our resorts in Mexico. This is a purchasing management company with more than 700 establishments on its portfolio. It assists in the choice of suppliers and price negotiation for everything that a hotel establishment may need. It conducts cost consultancy to obtain the best results for its clients. A company founded in 1976 by experts in real estate, and the sale and purchase of properties. It is based in Barcelona.